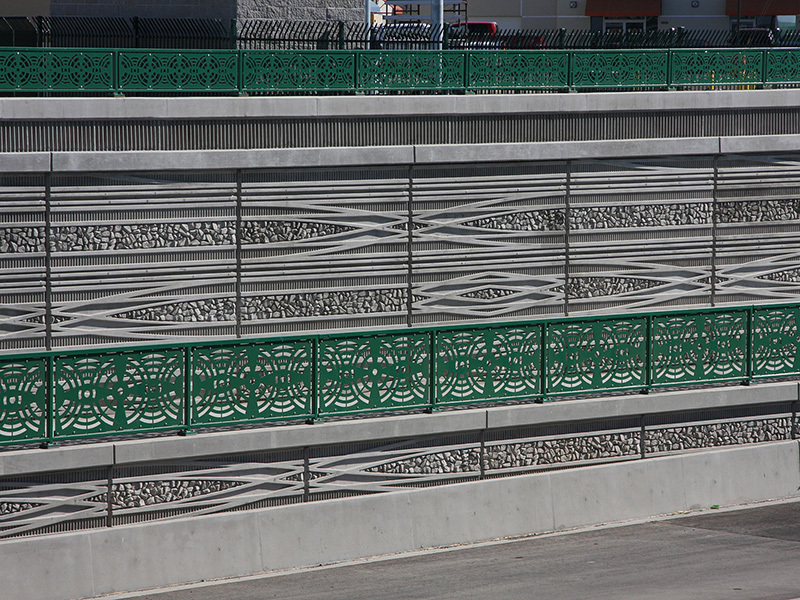 Vicki Scuri SiteWorks with Mark Thomas & Company Inc.
A series of four railroad crossings designed to celebrate community identity. 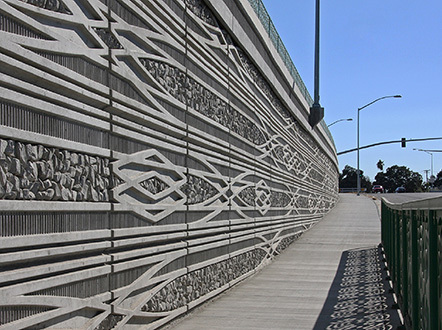 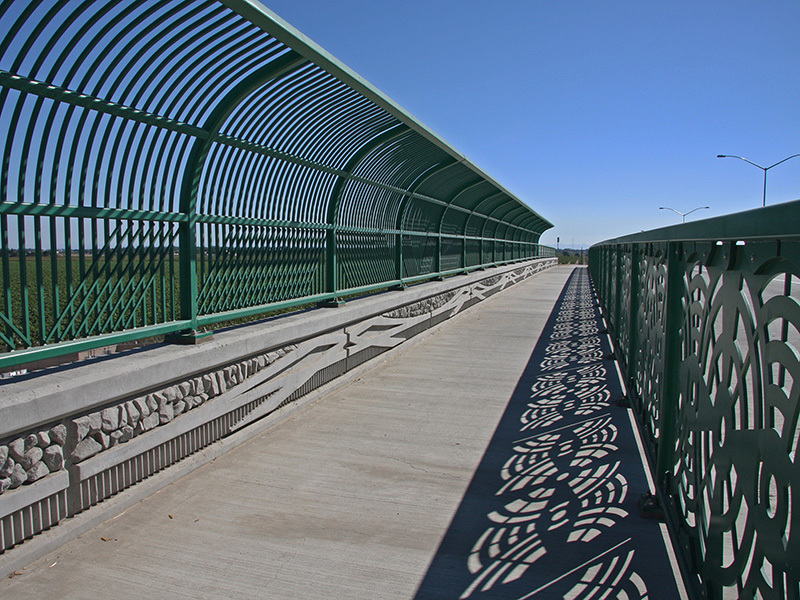 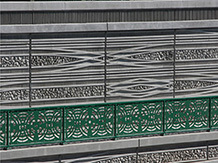 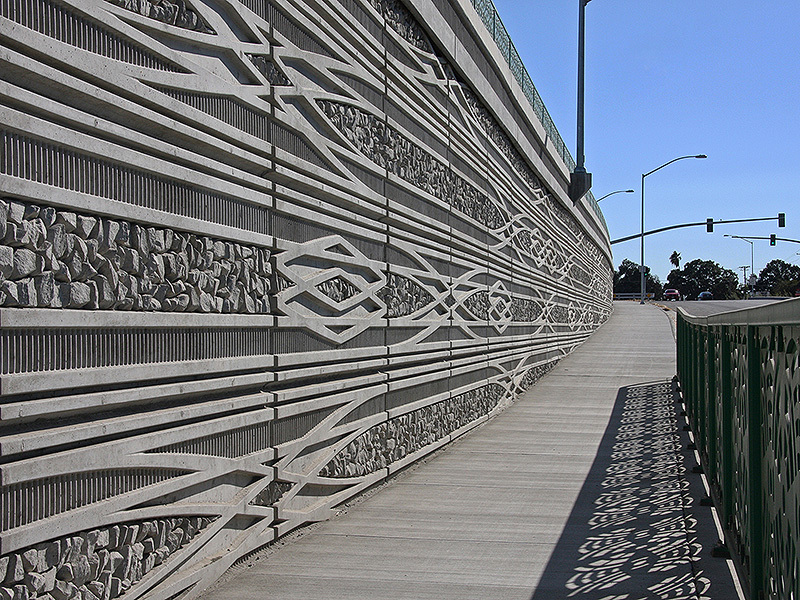 A railroad double switch design, symbolizing mobility and connection provides pattern inspiration for concrete retaining walls, barrier rails and the featured railroad security fencing at Lower Sacramento Road Overcrossing. 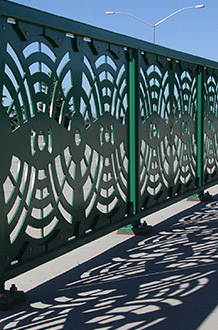 Agricultural equipment: discs, plows and motors, inspires laser-cut pattern imagery for fencing throughout the project. 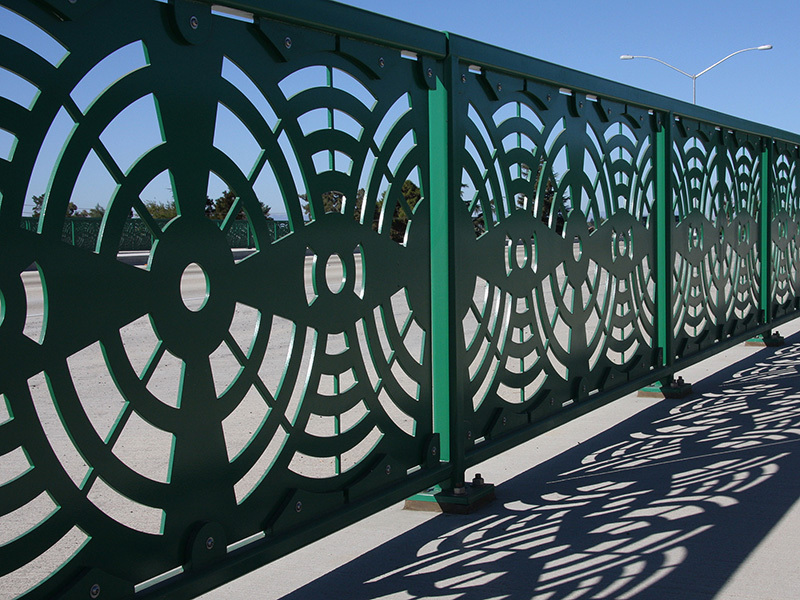 All fencing is green symbolizing Stockton’s agricultural roots.